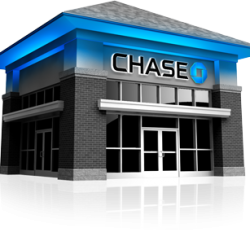 Chase is the U.S. consumer and commercial banking business of JPMorgan Chase & Co. (NYSE: JPM), a leading global financial services firm with assets of $2.5 trillion and operations worldwide. The firm is a leader in investment banking, financial services for consumers and small businesses, commercial banking, financial transaction processing, and asset management. 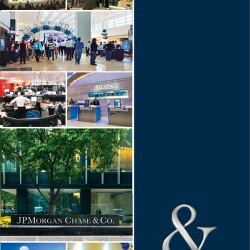 A component of the Dow Jones Industrial Average, JPMorgan Chase & Co. serves millions of consumers in the United States and many of the world’s most prominent corporate, institutional and government clients under its J.P. Morgan and Chase brands. We are a leading global financial services firm with assets of $2.6 trillion. We operate in more than 60 countries. We have over 240,000 employees. We serve millions of consumers, small businesses and many of the world’s most prominent corporate, institutional and government clients. We are a leader in investment banking, financial services for consumers and small businesses, commercial banking, financial transaction processing and asset management. Our stock is a component of the Dow Jones Industrial Average. Number of Units only accounts for Bank Branches. 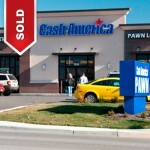 Average Units Volume includes Branches, ATM and mortgage offices.